I promise to use it only to send you Mineral Essence. 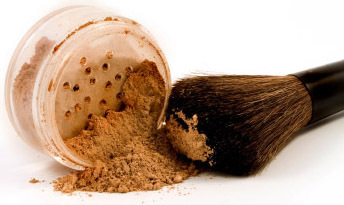 Mineral powder foundation is synonymous with natural beauty – the ingredients used in mineral makeup are derived and refined from minerals of the earth and natural sources, which means that they are the gentlest way to wear cosmetics and they have hidden help with health issues. 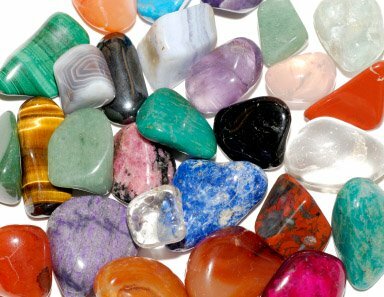 These personal discovery issues are found due to the minerals being found in healing stones and crystals. Because of the minerals gentleness, mineral powder foundations are suited to almost all skin types and tones. Mineral powder lets the skin breathe, it lasts a lot longer and actually possesses many beneficial qualities that will enhance your skin - it is surprising how little makeup you have to apply for all-day coverage. It also gives a completely flawless complexion and natural glow and it evens out your skin tone. When applied, mineral powder foundation will eradicate the appearance of age spots, lines, blemishes and even acne, with no need for multiple applications throughout the day. Mineral powder foundations are highly water resistant, and prove an excellent performer in humidity – it even stays put during exercise! 1. Cleanse and moisturize your face. Allow your moisturizerand any other treatment products to become dry to the touch. 2. With the jar lid on, gently shake the mineral powder jar to dispense the foundation into the sifter. 3. Remove the lid and lightly dip your mineral powder foundation brush into the powder and tap against the rim of the jar to remove any excess. You do not need to use all the powder in the sifter - a little goes a long way. 4. Swirl the mineral powder foundation brush inside the lid so that the powder is worked into the bristles. 5. To apply, start in the center of the face and work your way out on either side toward the hairline and along the jaw-line - blending well. For a light, natural coverage, a single,thin layer should be enough. For increased coverage, repeat the application process, applying the mineral powder foundation in thin layers until you reach your desired coverage level. 1. It’s easy to over-apply mineral powder foundation when you are first working with it. Even if you want maximum coverage, you’ll achieve a more natural look with several light layers instead of one heavy layer. 2. If you initially apply too much, use a cosmetic sponge to buff away any excess. 3. Mineral powder foundation brush sets are specially designed to enhance mineral powder application and to ensure you get the look you want. The short, dense bristles are designed to grab the powder and evenly distribute it over all facial contours. To achieve optimum application results, apply mineral powder with a mineral foundation brush. 1. It is best to clean the brush weekly to avoid product and bacteria buildup. To clean, wet the hair. Squirt a mild cleanser in your palm and sweep bristles back and forth and in a circular motion. 2. Rinse well. Squeeze out excess water with a towel; reshape bristles with fingers and lay brush with hairs extending out over a ledge to dry. Never dry brush upright, as water can seep in and weaken the handle. 3. Keep your mineral powder foundation brush looking nice by storing the brush in the case when not in use. Ask ... Save ... Join!